Regular embroidered tie. Similar to 13-10 clip tie. 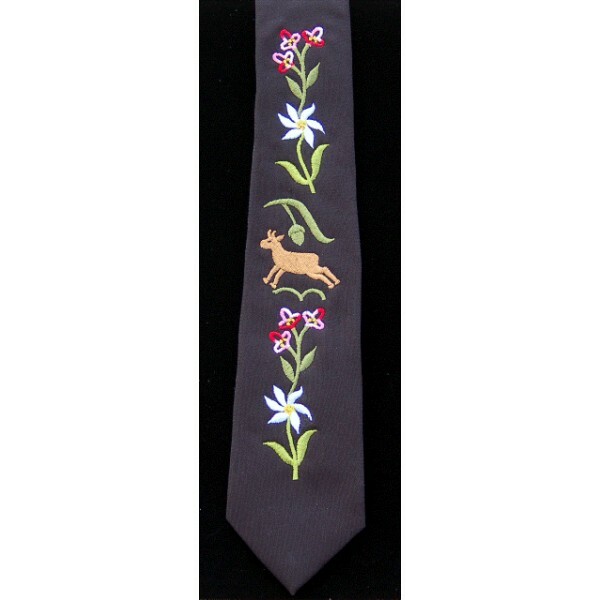 Men’s embroidered neck tie. Black fabric is 100% polyester. Made in the USA. These suspenders come complete with breastplate and narrow straps. To determine the length you need to order, measure from waist in front, up over the shoulder, to opposite side on the back. Order by centimeters. Worldwide Import. Red checkered shirt with stag buttons. Short sleeves. Imported from Germany.